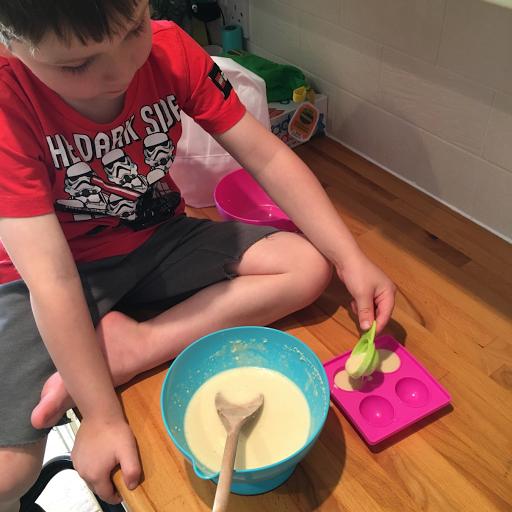 Were your children inspired by The Great British Bake Off? It's on too late in the evening for my little man but I know many of our friends children have been encouraged by seeing the marvellous creations. 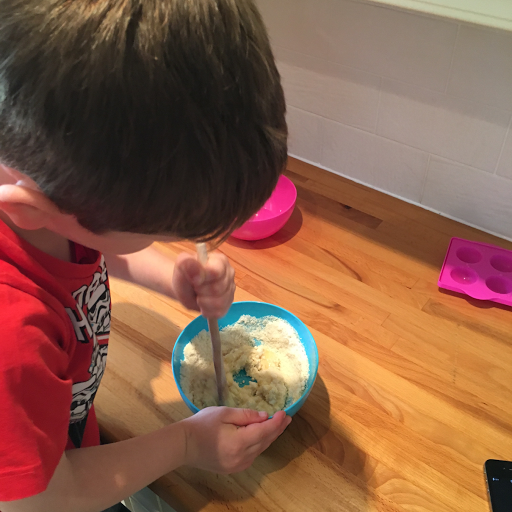 T loves baking, I love that it's something we can do together or that he can do with his Dad or older siblings. 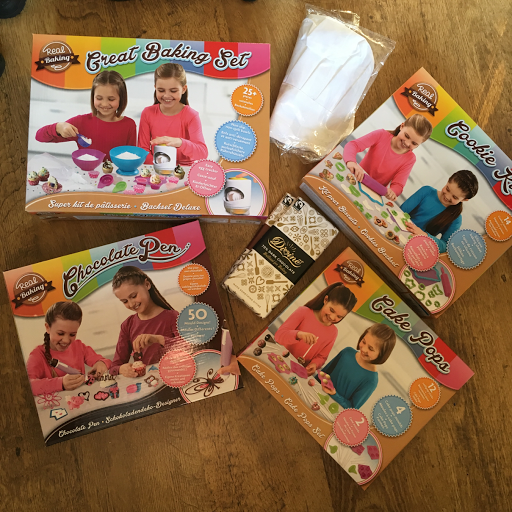 We were asked to review some kids baking sets from Vivid Toys which I knew T would enjoy. Sadly his first reaction was disappointment, each of the boxes only had girls demonstrating their use and pink featured heavily in the colour scheme. He turned to me and said 'Mummy why are they all girls, Boys are chefs too!' Well kid's got a point! 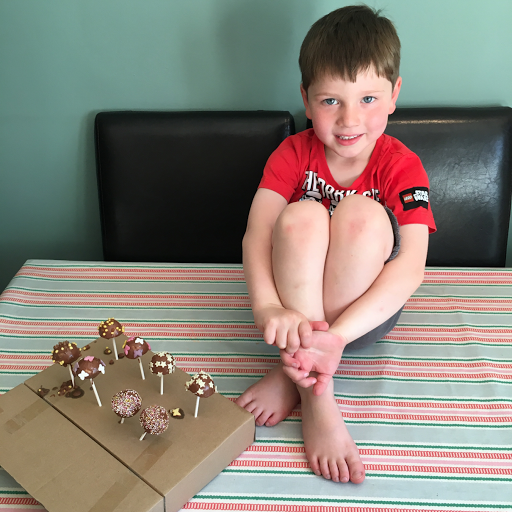 After a little chat about it not mattering what was on the boxes and what colour the utensils were, we decided to make some cake pops using items from the Mini Cake Pops Kit and the Great Baking Set. The Cake Pop kit contained everything we needed to make some cake pops, including the lolly sticks and cellophane presentation bags. We used the bowls from the baking kit, which included a suction base, we couldn't actually manage to get this to hold firm, it was fine for a couple of minutes but soon came loose, we have a wooden kitchen surface so I'm not sure if that's why. Also included in the baking kit were measuring spoons and an egg cracking gaget, being a little gaget lover like his Dad, T loved it! 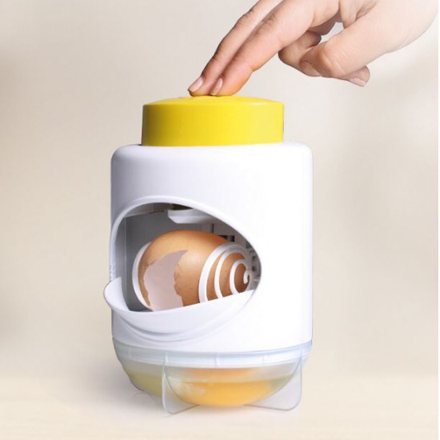 I on the other hand, feel that it's an unnecessary and fiddly piece of equipment, when, at nearly 5 T has already be taught how to crack an egg albeit with sometimes messy results!! However, it does make baking even more fun when you're 4, I guess. Making the cake pops using the silicone moulds was super-easy, in fact I was incredibly impressed and would quite like one in a nice large size to make them for birthday parties. Being able to make 4 at a time I found frustrating, but T was fine and was happy to wait 15 or so minutes in-between to make the next batch. He then had lots of fun dipping them into Divine chocolate and decorating with sprinkles. These kits are aimed at children aged 6+, T at 4 had absolutely no difficulty in using anything contained within, with my supervision. I'm sure you'll spot these tools used in future photo's when we are cooking and baking! Disclaimer: we were sent these kits on return for our honest feedback and review. All opinions are our own.